Welcome to our May newsletter. We have put a lot of work into compiling the best recipes, tips and tricks, chef interviews and industry news which we hope will inspire you for continued success with sous vide cooking. 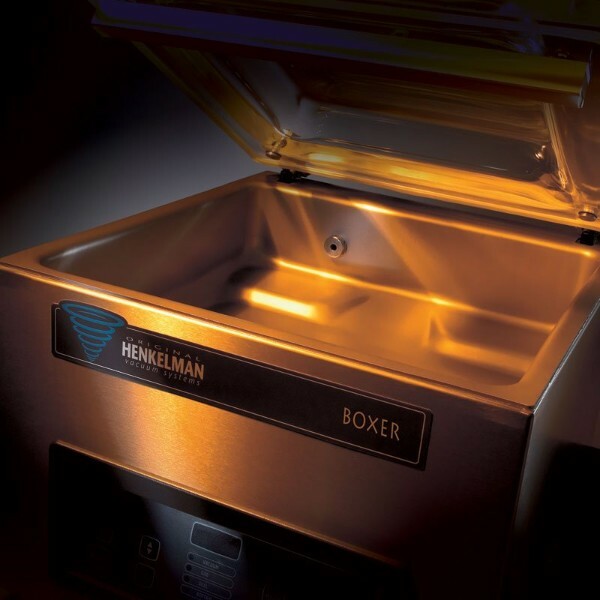 Product Of the Month – Henkelman Vacuum Machines. The MasterChef’s Choice! We would also like to remind small business owners that you can still benefit from the Government’s Small Business tax benefits this financial year. If you’re turnover is under $10 million then you can make an immediate write-off of assets up to $20,000 if you buy BEFORE the end of June 2018. So if you are looking to purchase any premium quality sous vide appliance then this is a great to invest and save. Main photo: Ms I-Hua & The Boy © 2007 – 2018. www.msihua.com. All rights reserved. 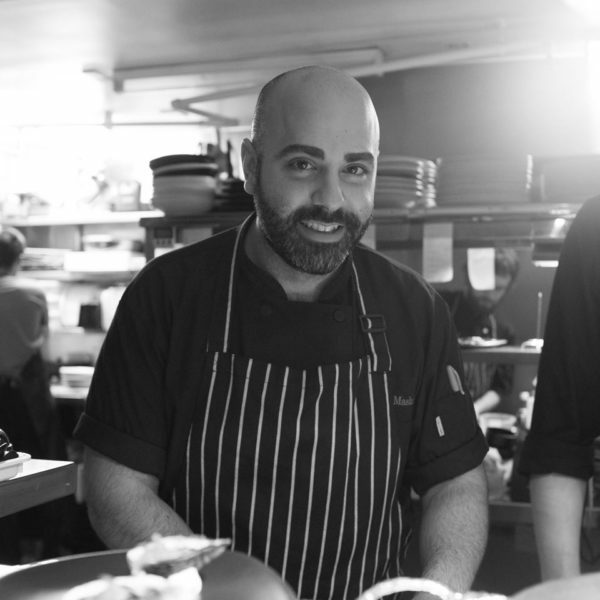 Garen Maskal is a great chef and one of the partners behind Black Toro in Glen Waverley, Sezar in Melbourne, and most recently Shukah in Windsor. Garen first saw sous vide cooking whilst working as sous chef for Teage Ezard in 2011 when he had the opportunity to visit The Stars, Black by Ezard steak restaurant in Sydney. Many of the Steaks were pre-cooked using sous vide to achieve the perfect “doneness” before being finished on the open grill. On returning to Ezard in Melbourne, sous vide was introduced and Garen became a master. This month we’re using our precisely controlled water bath to transform baby beetroots into something really delicious. This often-overlooked vegetable has been gaining in popularity as a new super food in recent times due to its effectiveness in improving cardiovascular performance and lowering blood pressure. This delicious recipe was created Garen Maskal, who honed his skills at Ezard in Flinders Lane, Melbourne, before opening his own restaurant, Black Toro, in 2012. 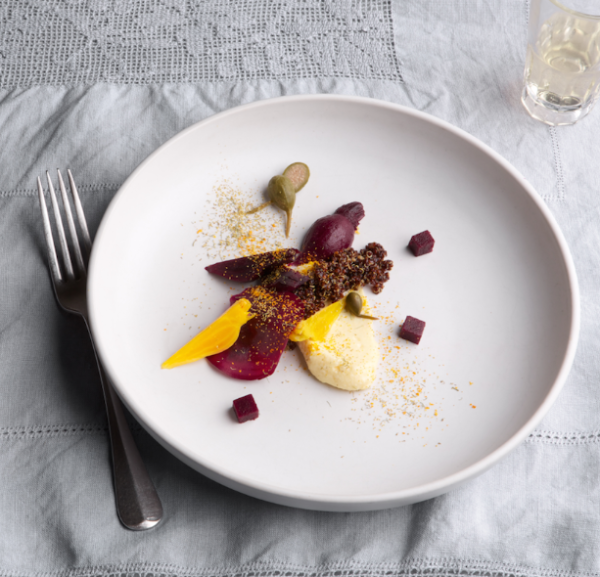 Garen’s creative use of quinoa adds a delightful crunch that works so well with the creamy Manchego custard and tart beetroots, while the hints of orange and fennel combine with the sweetness of beetroot jelly to further enhance the overall flavour. Time: 3 Hours, which includes 2 hours cooking time. Serves 4. Henkelman Vacuum Machines. The Masterchef’s Choice! When it comes to crunch time on MasterChef Australia, the dinky home vacuum sealer will make way for more reliable, high quality equipment. The Henkelman Vacuum Sealers are without question the MasterChef’s choice, and will make major appearances at the semi-final and final of the competition in Season 10. Be sure to look out for them in the coming weeks! Which brings us to our next point – if you are going to cook sous vide in any kind of serious way, whether for home, a restaurant, hotel or value adding in a butcher shop, a good vacuum packaging machine is the most crucial investment you can make. For most of us, cooking the perfect egg is our first sous vide adventure. 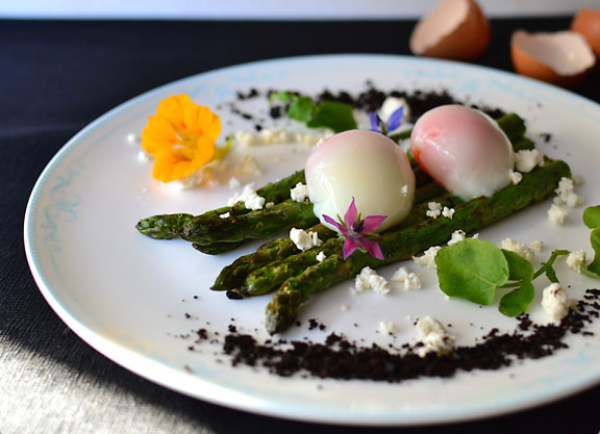 The promise of that creamy yolk and that delicate ‘just-set’ white can only be achieved using sous vide. And with Local truffles coming in to season, an ordinary breakfast could be turned into something very special indeed. To start, preheat your waterbath to 64 degrees Celsius. Then use a pair of tongs to carefully place your egg (still in its shell) in the waterbath. After that, you’ll have a spare 45 mins to read a good book our scroll through your favourite social media channel to get your fix for the day. When your egg is ready, crack it straight from the shell on to buttered toast or perhaps some blanched asparagus topped with freshly grated truffle. If you like a firmer white or just can’t bare the thought of waiting any longer for your egg to cook (but it really is worth the wait), set the waterbath to 75 degrees, then follow as above but only cook for 13 minutes. Alternately, you can cut top off and serve them in an eggcup with toast soldiers.